PCPD will soon crack down on illegal lighting on vehicles around town. 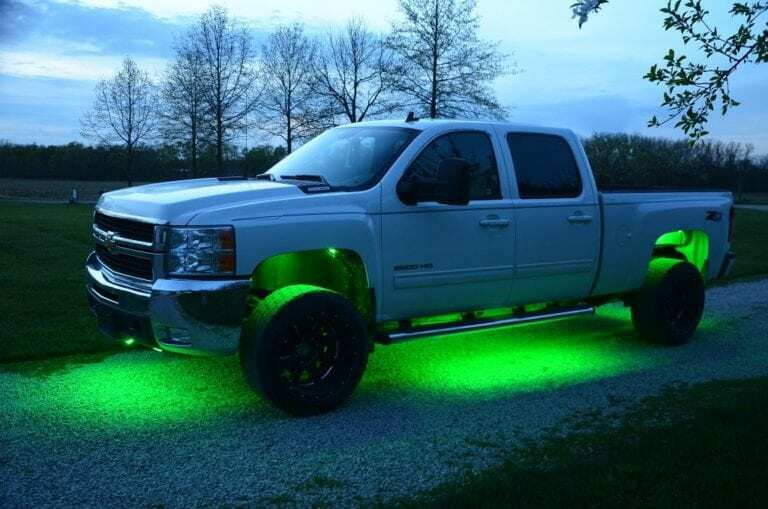 If you own an LED bar or installed underglow to your truck, know the code or be prepared to pay the fine. Plant City police are sending out a warning to drivers: If you have illegal lighting on your vehicle you’re about to get stopped. For years the department has quietly watched as more and more vehicles hit the streets with massive light bars, spotlights and underglows. They’ve pulled over those causing safety concerns, but the problem only continues to grow. Officer Christian Lopez, a traffic homicide investigator, spent two weeks heavily researching Florida law and putting together a guide for local officers. The statutes tend to overlap so while one item may not be mentioned in the first statute, it could be brought up in the fourth. The guide will be distributed to PCPD officers, especially those on night patrol, and soon they will be armed and ready to get violators off the streets. Underglow kits are becoming more and more popular on the roads as well. Though you can buy kits online and at local automotive stores, the fine print says “for recreational use.” No underglow lighting is legal on the roadway unless they fit all of the statutes, including having appropriate colors and not exceeding the allowed number of visible lights per side of the car. If it glows brightly enough to be seen, it more than likely won’t pass the test. A brightly glowing undercarriage of a truck or car is distracting to other drivers. Lopez warns that online forums are not usually accurate for Florida law. Just because something is DOT-approved in Kansas or Wyoming doesn’t mean it’s allowed in the sunshine state. One misconception is that any color is allowed to be added to a vehicle as long as it’s not red, blue or black. In fact, the only colors permitted that are considered not distracting are white, amber or reds. The exception comes for private property. If you’re attending a car show or going off-roading you can have any colors or set ups you want. The catch is you have to have it trailered there. The second its wheels hit a street and the lights remain on, you’re violating the law. If reputable, many local automotive shops will either refuse to add the lights or will make customers sign a waiver indicating they understand the addition will be illegal to use on the street. The height of the lights comes into play as well, so lifted trucks need to make sure their headlights aren’t shining directly into the eyesight of other drivers. Any headlamp on a motor vehicle cannot be located any higher than 54 inches or lower than 24 inches from the ground. The front clearance lamps on the front or side of the vehicle can only be amber-colored, not the neon green and purple that you see in several vehicles cruising through town. Rear clearance lamps can only be red. In fact, all lights on the back of the vehicle should be red except for the stop light or signal device, which can be red, amber or yellow. The license plate illuminator needs to be white and the backup light can be white or amber. The number of lights on display can also cause issues on the road. For example, the front of a vehicle can’t have any more than four lights at a time and that includes the two headlights. Sgt. Al Van Duyne said PCPD never wants to be excessive so while they technically could count every single light bulb out of code, they will instead focus on units. Violators usually already know they’re breaking the law, Lopez said. When they drive by cops nine times out of 10 he said they quickly flick them off. If someone isn’t sure, he encourages them to call law enforcement and find out if they’re up to code. If not the officers will simply explain what’s wrong and then you can go get it fixed. The growing trend has a lot to do with the affordability now of LED technology. The popularity of trucks, especially in Plant City, also means there are going to be more people trying to “jazz up” their ride. Van Duyne said he knows people are proud of their vehicles in the area and they want to show off their nice rides. He warns the cost of their vanity may be higher than they expect. Show them off at home or save the money and don’t alter the vehicle at all. Lopez said none of these have to be citations, the officers simply want compliance for both the safety of other drivers and the safety of those in the lit up vehicles. Violations are $113 each and those who go out of their way to add lighting to their vehicles can quickly have a massive bill pile up as many of the lights will check off violating multiple statues that overlap.